If you’re here, then chances are it’s because you’re considering investing in Elite Blog Academy. In which case I commend you on doing your due diligence to check various reviews. Most Elite Blog Academy Reviews come down on one side or the other. However, I know that Elite Blog Academy is not right for everyone. It may have been right for me, but not right for you. In this post, I’m going to do an honest in-depth review of Elite Blog Academy. Including when it might not be right for you, read on to find out if you should sign up! Elite Blog Academy is a premier blogging course to help you set a strong foundation for your blogging business. It’s a premier blogging course in that it covers a lot of ground and includes tons of bonuses. It also has a price that reflects its premier status. It’s foundational in that it covers every aspect of blogging as a business, making sure you have a strong site and base to build upon. I started blogging in 2014 without a clue what I was doing. I invested in my first blogging course in May 2015. It helped me get a grip on the basics, but I kept bumbling around trying different things without a whole lot of success. In December 2016, I pre-purchased Elite Blog Academy - the 3.0 version to be released in February 2017. Because I had just started blogging without any strategy or structure, my site didn’t really have any foundation. It was a very unstable house, it was like the before version on any house flipping show. Being someone who responds well to structure (I have two degrees after all), I knew if I wanted to succeed as a blogger, I would need a course that covered all aspects of blogging - Elite Blog Academy seemed like the right fit. I started the Elite Blog Academy course in February 2017 and I didn’t finish it until December 2017. Yup, it took me nearly a year to finish the course. And I didn’t stop and start, here and there, it was nearly a year of consistently working on the course content every week. Now to be fair, as my blog was the equivalent of the before on a house you want to flip. Which meant I had a lot that I had to go back and fix to shore up that foundation. If you’re new to blogging - you shouldn’t need to take as much time to fix things. Now you may be wondering, why are all these numbers from 2017 and not 2018? Well in 2018, I got, um, distracted. I didn’t really blog much. 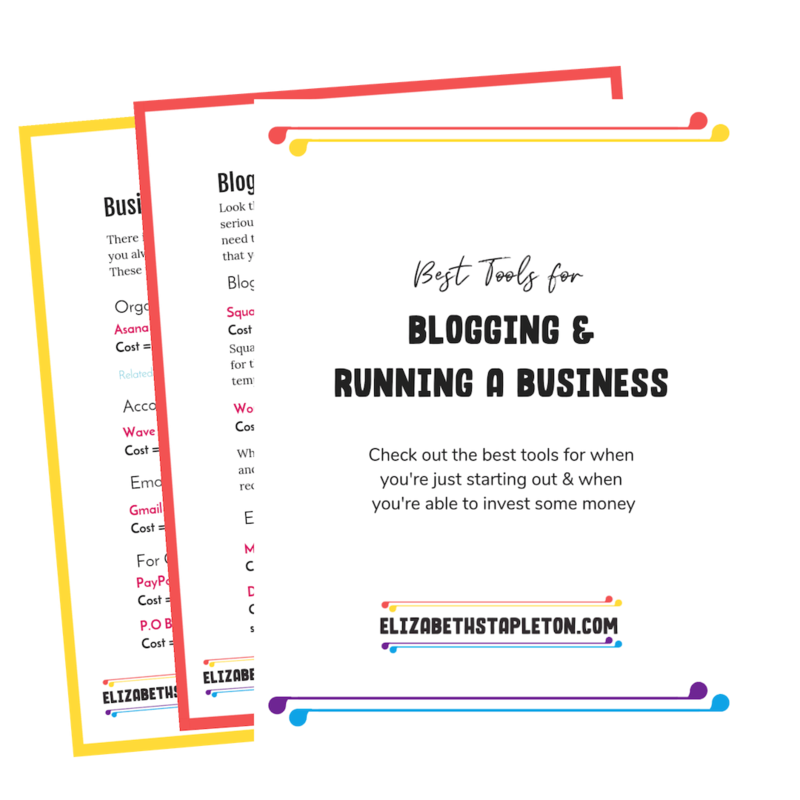 However, because I had set a strong foundation with Elite Blog Academy the year before, I continued to earn money - despite hardly posting or emailing my list. In 2018, I earned $5,573.20 from blogging - without really blogging. This income came from display advertising, affiliate income, and product sales. It does not include payment for the services I offer and use my blog to market. In 2017, when I was fixing everything I earned $923.55 from display advertising (started in July 2017), affiliate income, and product sales. So you can see the long-lasting impact of taking Elite Blog Academy, my income from my blog after completing the course increased over 600%. After getting back on the blogging horse in December 2018, so far in 2019, I’ve earned $1,150.66 from product sales, affiliate income, and ads. With the release of Elite Blog Academy 4.0, I’m excited to dive back in and 6x my results again. I do well with structure and I know I can still improve upon what I have, especially since I’ve reorganized and moved around things between my two websites. To see other’s experience with Elite Blog Academy, check out these success stories. Ever heard the saying, your network is your net worth? Well, it’s true, the people you connect and build relationships with are the ones that will help you to build your business. The Elite Blog Academy Facebook community has over 4,500 members. 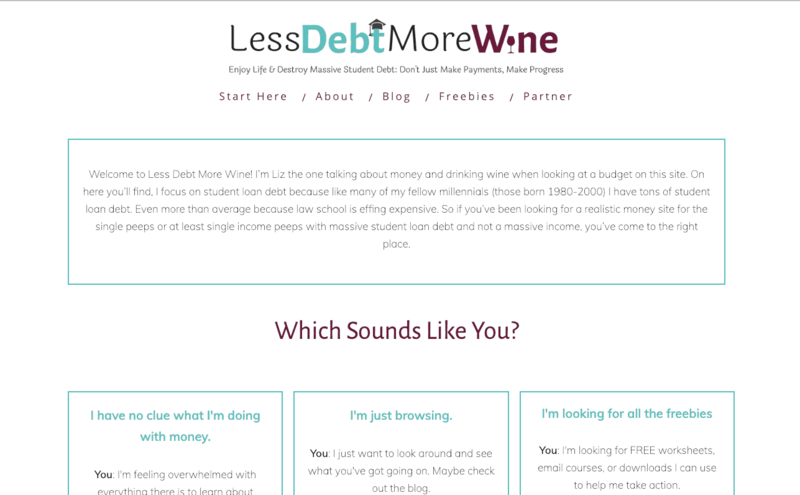 Some are the rockstars making tens of thousands a month, others are just getting started. But in all cases, egos are checked at the door. Joining Elite Blog Academy doesn’t just give you access to Ruth Soukup, but also other kickass bloggers killing it online, like Gina Horkey, Rosemary Groner, and Kim Anderson - just to name a few. Ruth even sometimes has them jump in and do a live Q&A for the community. I’ve actually had the opportunity to meet each of these bloggers in person at different conferences, and Elite Blog Academy made for a great common ground to start a conversation. So while the course itself is very valuable, the community you get to join, I think, is just as valuable. Elite Blog Academy includes 4 Modules with12 different Units, with 36 assignments. And yes, you need to do Every. Single. One. They all build on each other, those that find success after Elite Blog Academy did every assignment. Even if they hit pause on the course to dive deeper on another topic when they got back to Elite Blog Academy they picked up where they left off and made sure each assignment was complete. Some assignments require you to reach a certain threshold before you can move on to the next section. Don’t jump ahead, keep working to hit that threshold. The assignments cover the entire journey from a beginner blogger to a blogging empire. While the early assignments might not take long, especially if you’ve been blogging a while, the later ones, that take you to the next level take time. Take the time to do every assignment right and following Ruth’s steps you’ll see your blog grow. Elite Blog Academy is a step by step system to help you build a blogging business. However, some of those steps are larger than others and it can be helpful to add in a few smaller steps in the form of tools or a supplemental course here and there. One example is that while the basics and foundational necessities of social media marketing are covered, you might consider investing in a course that focuses on one particular platform - going deep to ensure you master the platform. Though- this may be addressed in Elite Blog Academy 4.0 - I’ll let you know once it’s out and I know the answer to this. While there are a lot of free tools you can use to bootstrap, at some point you’re going to have to pay for some blogging tools and services. These are obviously not included in the course. So don’t be surprised if you decide to take Elite Blog Academy and throughout the course find yourself spending money on other blogging expenses. The first module is all about getting set up for success. You’ll do a blog assessment - which helps you to see how far you’ve come later on. It also has you set out your goals for your blog and the course. You’ll also review your blog’s structure - if you’re a brand new blogger or have not yet launched it will mean assessing what is setup already, what you still need to do and where you want to go. If you’re like me and had been blogging a while, it means cleaning up your structure to be comprehensible and actually helpful. It’s all about getting content on your blog. Again how long this takes will depend on how much content you already have. As a blogger that had been blogging for over two years, I had about 150-200 posts I had to go back and fix to make them the best they could be, this unit easily took me three months. However, if you have no content on your blog yet, you get to move on after creating 10 pillar posts - a concept explained in the course. You’ll get your blog designed in a way that helps you to reach your goals. This unit is either really enjoyable or painful, depending on how much you like design. But it doesn’t just have you jump in with a new design, you get critiques of what you already have first, then design so you are delivering on what your audience wants from your blog. It also has you set a standard for your site- to make creating other things later on easier. Where Module 1 focused on setting up your Blog right, Module 2 focuses on setting up your other platforms to market your blog right. You focus on optimizing your site for search engine optimization and networking to grow your blog and business (this is a great place to utilize the community you get access to with Elite Blog Academy.). You focus on starting and growing an email list. It covers how to grow your list and setting up opt-ins. You start learning how to use social media to drive traffic and email sign ups. You first start by aligning all your social media profiles with your blog and each other, then you start digging into the strategy of posting. There are usually a few Elite Blog Academy Bonuses that focus on specific platforms to help you dig deeper. 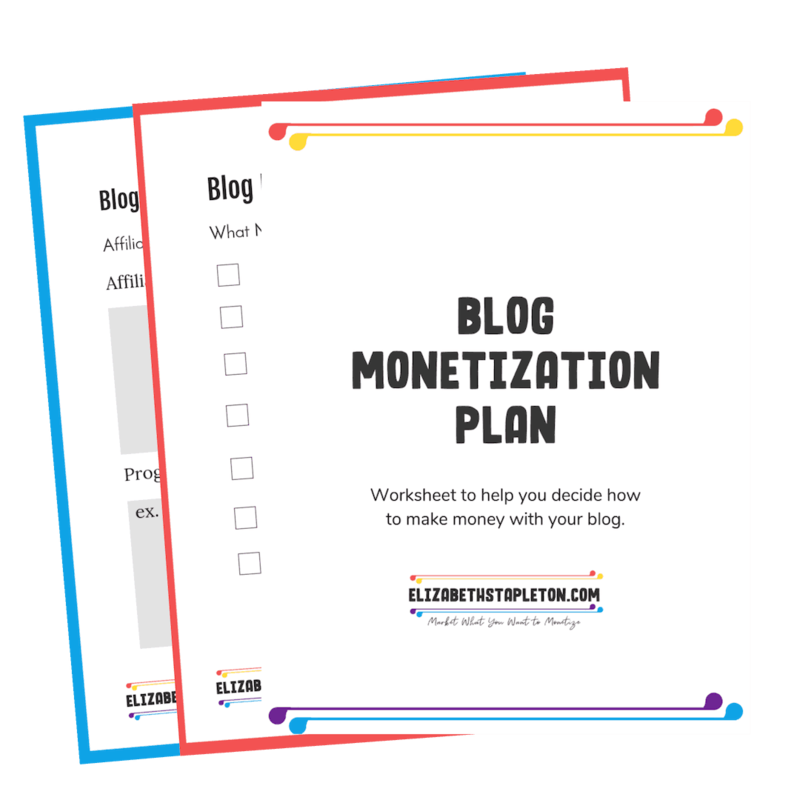 With a solid foundation for your blog and marketing efforts, it’s finally time to start monetizing. You’ll take a moment to asses your blog’s process so far, and start monetizing the easiest way possible - with ads. You’ll dig into product creation, doing a baby seed launch before creating and full blown selling your product. This section of the course walks you through how to decide what product to sell, to make sure you don’t waste time or money on products that won’t work for your audience. You do just that, learning how to craft sales copy, plan a launch, as well as how to earn money as an affiliate for other products. Of the $923.55 I made in 2017, $776.25 was earned after going through the monetization module of Elite Blog Academy, I got to this module at the end of July 2017. The final module is all about scaling your business to grow. You dig into how you can work to your strengths and set long term goals for your blog. You start getting real serious about the business side of thing, coming up with your mission statement, creating a business plan, and deciding on your company’s structure. You start recognizing what you do well and what you don’t so you know what to hire out and start building a team. When Does Elite Blog Academy Go on Sale? Elite Blog Academy only opens up on sale once a year, typically towards the beginning of March. In 2019 it will go on sale from March 4-9. If you want to make sure you get notified as soon as it’s on sale, sign up for the waitlist. Unlike other courses that tend to focus on one particular part of growing a blog into a full fledge business, Elite Blog Academy covers the entire journey. From set up, to scaling and hiring your first employee, there is a lesson on each step you need to get to the next step. I’ve taken a lot of blogging courses and none of them cover the breadth that Elite Blog Academy does, and while I’ve learned something from every course I’ve taken, I’ve learned and grown the most from Elite Blog Academy. Elite Blog Academy is geared towards those that blog on WordPress. If you are using any other platform, you’ll want to address the technical hurdle of switching over, sooner rather than later. Additionally, Elite Blog Academy does not cover the tech aspect of moving from another platform to WordPress. I have however put together a tutorial for moving from Squarespace to WordPress and you can find similar tutorials online if you’re moving from another platform such as Wix, Weebly, or Blogger. What is the investment - What Does Elite Blog Academy Cost? Recognizing that it is an investment, meaning you can measure your return is important. If I told you that by spending $1 you would earn $3 would you do it? What if you earned $10 for spending $1? So far I’ve earned over $7,000 thanks to what I learned in Elite Blog Academy. While my investment was a little less (the cost goes up each year) even with the cost of investment in 2019 that would be over $7 earned for every $1 spent on Elite Blog Academy. The investment to enroll in Elite Blog Academy in 2019 will be $997 or three payments of $397. Elite Blog Academy is great for people that thrive learning from a structured course and can discipline themselves to do the work consistently and in the order in which it is presented. If you like to jump around or can dedicate time every week to your blog, then Elite Blog Academy is likely not for you. If you are wanting to build a blog as a business then Elite Blog Academy is likely for you. That being said, different niches are more profitable than others. You don’t necessarily have to have a huge audience to make a lot of money. So long as your blog is focused on a specific audience and you meet their needs and help them, you can make money blogging. Many people will use their blog to help market their services and grow their service based business, this is something I’ve done. However, it’s not primarily what Elite Blog Academy is about, so if blogging isn’t your focus but rather a service based business, then this may not be the best course for you. Again, I recommend you take the assessment quiz to see if Elite Blog Academy would be a good fit for you and your goals. This is a self-pace course which means it takes however long it takes you to get through everything. For me, that meant almost a year. Others finish the course in 3-4 months, some start, decide to switch topics and then start over from the beginning with Elite Blog Academy. There is no one right answer to this, but because you get lifetime access to the course and future updates, you don’t have to rush through it to get it done in a particular time period. Like I said, I'm planning to go through the updated version Elite Blog Academy 4.0 when it’s released later this year. It’s not unusual for students to go through the course every year, learning something new every time they go through the course. Is This the Right Time to Take Elite Blog Academy? Elite Blog Academy is only open for enrollment once a year, so if you think taking it sometime before 2020 is going to be right for you, then yes I would recommend buying it when it goes on sale in March 2019. However, if you don’t think you’ll get to it until 2020, then wait until next year. Apart from the timing of the purchase, you should consider what your goals are for the next year. How much progress have you been making on your own? Are you confident you could figure out what you need to, to hit your goals? Do you need a course to show you the way? Would a course help you reach them faster? There is a very strict refund policy when it comes to the course. Requiring you to show that you did the work (all 36 assignments) within 180 days of purchasing the course. They know the course doesn’t work unless you do and they don’t want anyone purchasing the course that isn’t willing to do the work. Is There a Promo Code For Elite Blog Academy? No, sorry if you got your hopes up, but there is no promo code for Elite Blog Academy. However, if you choose to purchase through my link, as a bonus you can get my program Customize to Monetize - Pinterest for $497 for free. If you’re already a Pinterest boss and are seeing a lot of traffic from Pinterest, then I would encourage you to see what other bonuses other bloggers may be offering. Final Decision, Is it Worth It? For me, yes it was worth it. I’ve more than made back my initial investment in the course. And I did so while still going through the course. Not only that, but I look forward to going through the course again and picking up on things I missed the last time around. If you don’t do well with structured learning - then Elite Blog Academy may not be right for you. If you’re just not sure if Elite Blog Academy is right for you, then I highly recommend you check out the other (less expensive) resources offered by Ruth Soukup. 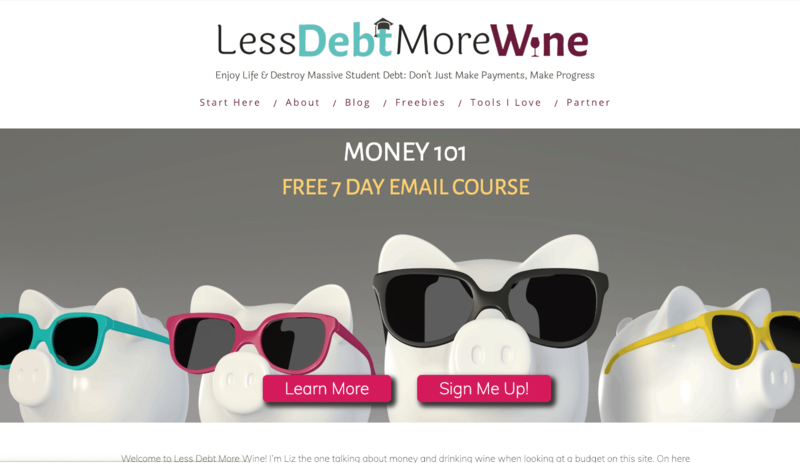 I’d also recommend you check out my post on 7 Free and Paid Blogging Courses You Need to Take. Still have questions about Elite Blog Academy? Ask in the comments!